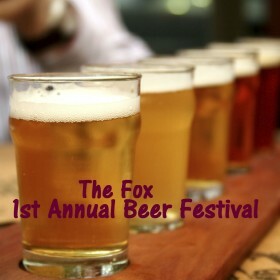 It here – warmer days – lighter nights, summers fast approaching and The 1st Fox Beer Festival. The festival takes place May bank holiday weekend from Friday 1st at 6pm to Monday 4th May. The Fox Country Pub is recently refurbished 18th Century Inn located in the quaint village of North Luffenham on Rutland Water’s South Shore. Come along and enjoy the delights of a dozen wonderful ales from local breweries, offering an experience to set your taste buds alight. With ales starting at 3.5% abv moving through to a distinguished 7.4% for the brave hearted. (Did you feel the gauntlet?) Fresh to our pumps you will also find Oakham Ales Green Devil at 6% a wonderful craft ale experience.